Vehicles paint-jobs have undergone a major transformation in the past years. The old fashioned single-stage paints have all but dis- appeared. On the other side, manufacturers spray OEM paints thinner and use more delicate paints year after year! On top of this, customer requirements have evolved at a speed that rivals the ever changing car-care market! 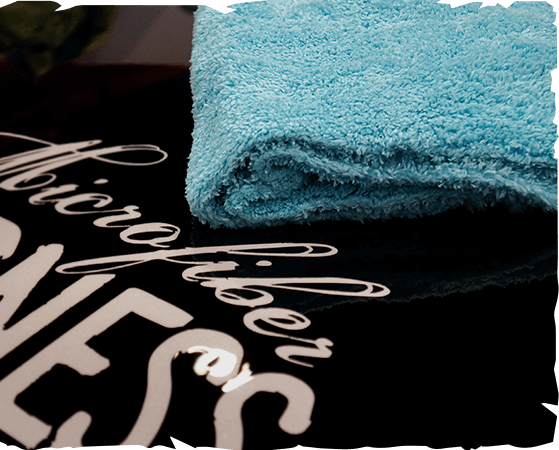 Where cotton towels had been state of the art in the past, now they act as a red flag for car detailing enthusiasts worldwide. High-end ceramic paint coatings recommend totally different buffing towels while water shortages force customers to change their ways and find tools related to waterless-washes. For all these special interests, Microfiber Madness has developed the perfect solution.